What is it?... Is it a pick-up? a bakkie? a lorry? or a van? Mitsubishi Motor Corporation (MMC) prefer to call their all-new addition to the family, the new Mitsubishi Triton, simply a 'bakkie'. Speaking at the South African launch of the all Triton L200, Nic Campbell, general manager of MMCSA, was quick to point out that MMC boast a 40-year heritage in producing some of the worlds’ finest bakkies. MMC’s research and development in producing the all-new Triton commenced in 2016, with engineers being despatched to all parts of the globe to undertake fieldwork, and South Africa was included in that mix. The mission was to better understand customers needs in the bakkie segment. Perhaps one of the biggest challenges was to design a bakkie that customers will aspire to own. Fast forward to April 2019 and we have an all-round and vastly improved 4X4 with striking good looks. The wide stance and presence are sure to attract all bakkie enthusiasts. The appearance of the Triton is powerful and dependable and is captured by the tagline “Engineered Beyond Tough”. Let me take you through the front, side and rear enhancements of the all-new Mitsubishi Triton. The new face incorporates the new-generation “Dynamic Shield” front design concept. The high hood line and beefier-looking headlights located higher up, give the new model a more powerful and imposing frontal appearance. 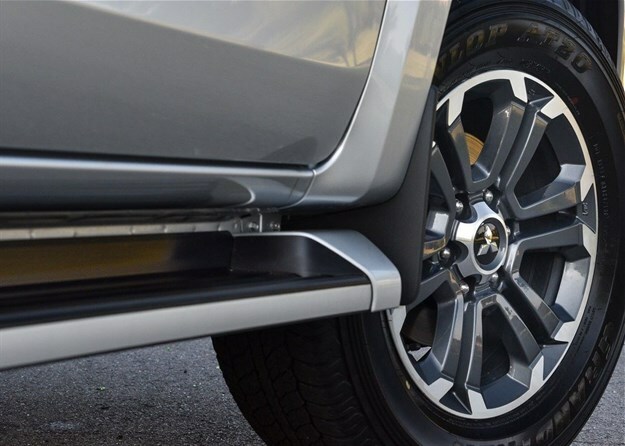 Newly sculpted body curves with contrasting sharp lines, extended wheel flares and bright accents embody the strength of a full-size Mitsubishi Motors bakkie and add a modern twist. The lighting and bumper parts become part of the tough design, framing the front and rear designs and adding visual width. The new Triton also comes in fashionable colours including Sunflare Orange, Diamond White Metallic and Graphite Grey Metallic, adding more appeal to the range. The restyled cabin of the new Triton expresses a modern and robust feeling with new frame surroundings for the switch panel and air outlets. A high-quality look is created by soft pad materials and stitching on the floor console, armrests and parking brake. The new interior boasts the following: Tilt and Telescopic Adjustable Steering Column; Multi-function Leather Steering Wheel with Audio and Cruise Control; Bluetooth with Hands-free Voice Control; Touch-screen Radio/CD and MP3 Player; Infotainment System with Apple CarPlay and Android Auto (Optional); Dual-zone Automatic Air-conditioning; Electric Windows; USB and Accessory Sockets; Leather Seats; Electrically Adjustable Driver Seat and Chromatic Rear-View Mirror. I put the new Triton through its paces through challenging obstacles from very steep inclines, declines, through mud and some very tricky twists and turns and the Triton passed these tests admirably. 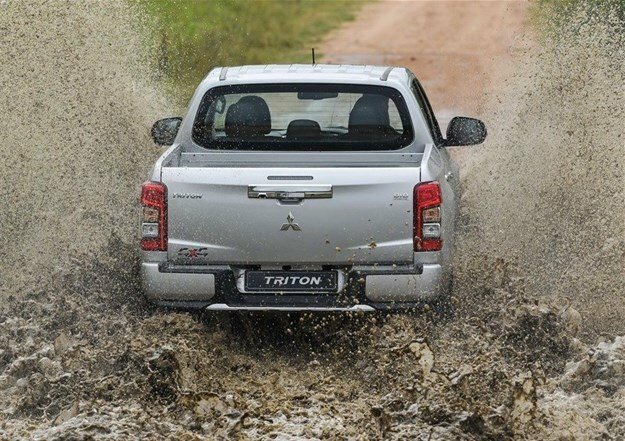 The all-new Triton L200 improves on existing functionality, all-round performance and off-road capabilities. Add to this a new sleek design and you have a bakkie that offers great appeal to buyers in this market segment, and a new sleek design that is sure to impress. 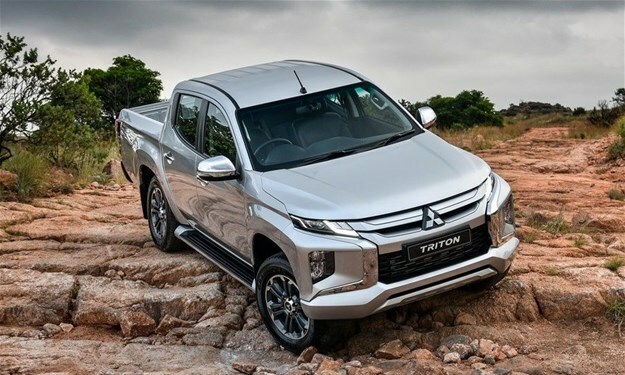 The new Triton is covered by Mitsubishi’s Manufacturer’s Warranty of 3 years or 100,000km and a 5-year/90,000 km Service Plan and a 5-year/unlimited mileage Roadside Assistance. Service intervals are every 10,000 km.